Britons are at the polls today for the Brexit vote, a referendum on whether the United Kingdom remains a member of the European Union (EU). A majority vote to leave could have significant impact on world economies and nearly every aspect of global supply chains. The polls opened at 2 a.m. EDT, with results expected by 3 a.m. tomorrow. An unprecedented vote to leave the EU would mean the UK would no longer benefit from free trade agreements negotiated by the European Commission, and that firms doing business there could face customs duties and significant barriers on their exports to other EU members. Companies that run global supply chains could face fluctuations in costs, labor availability and trade restrictions—all of which have the potential to greatly impact business decisions. For instance, any new barriers to trade may prompt a trend to use more local sourcing; procurement and supply chain leaders could decide to open new facilities in areas such as the U.S. and Asia — where trade deals will remain relatively unchanged if Brits vote to exit the EU — and position stock there to overcome any obstacles to the movement of goods. A vote to leave could also have significant impact on companies that rely on supplier relations and the sharing of skilled labor across Europe. Increased difficulty in travelling across European borders could lead to labor shortages and may create administrative burdens for supply chain managers — such as dealing with increased data and documentation, new import and export taxes, and added pressure on current IT infrastructures. 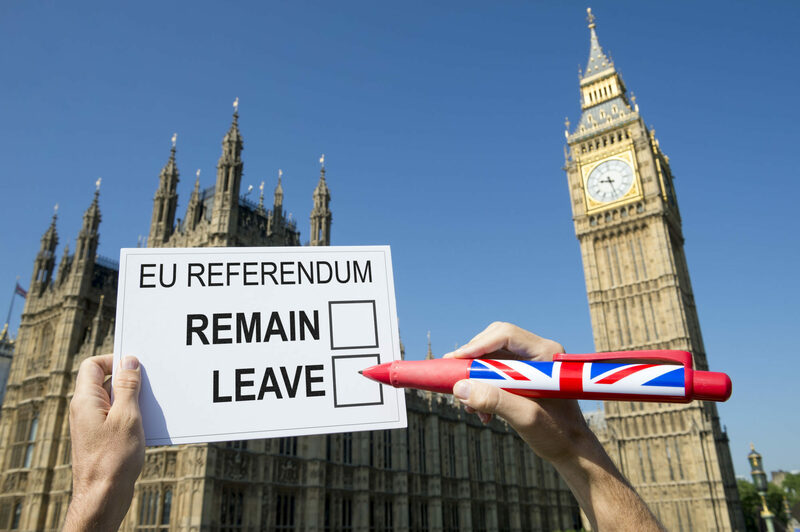 If the vote is to leave, the UK would enter a two-year period of negotiations to finalize exit terms. The remaining 27 EU members likely would take a firm stance against the UK regarding trade relations as a preemptive move to discourage other members from leaving and bringing about the demise of the EU as a whole. During these exit negotiations, international exchange rates are expected to be quite volatile. Many predict that the British Pound (aka the “Pound Sterling” or “Cable”) would likely plummet against the US Dollar and the Euro; this, in turn, would likely increase the cost of importing raw materials. In an attempt to offset increased cost, savvy supply chain leaders might turn to dual sourcing of key components as well as distributed manufacturing efforts to gain greater flexibility. The UK would need to forge new trade agreements with EU members—and nonmembers too. Joining the European Economic Area is one option. Other options include gaining favored nation status, establishing bilateral accords and working through the World Trade Organization. The disruption most likely will be a lengthy one— some experts predict it could take up to 10 years for the UK to agree on new trade accords with the EU and the rest of the world. The UK could join the European Economic Area (EEA): This scenario likely would have the least impact on trade and could be put in place almost immediately. However, the UK would still be required to abide by EU regulations in many cases, as well as continue contributing to the EU budget. It could negotiate a special trade agreement with the EU: A separate trade deal, similar to the ones Canada and Switzerland have with the EU, would take years to hammer out. Agreements would need to be reached for every type of product or service for sale from the UK to the remaining 27 EU members. It could leave the EU without any trade agreement. If the Brits vote to leave the EU, companies that run global supply chains can best manage the impact by ensuring their supply chains are as flexible, cost efficient and risk adverse as possible. Leveraging existing technology that provides clear visibility into the supply chain can help determine the best strategies for mitigation, as well as help reduce operating costs, boost profitability and create great efficiencies.